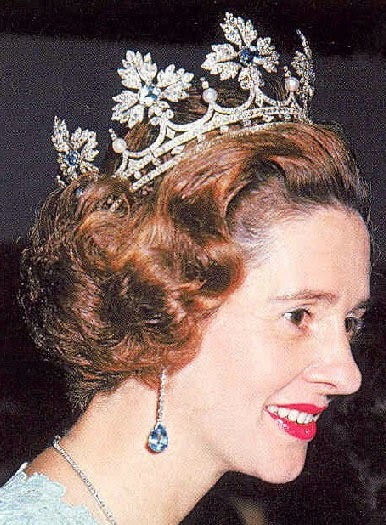 Creation: This tiara can be worn in two versions and as a necklace. 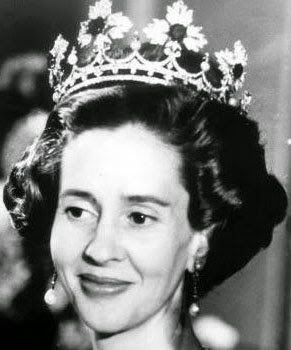 Who will inherit this tiara from Queen Fabiola? 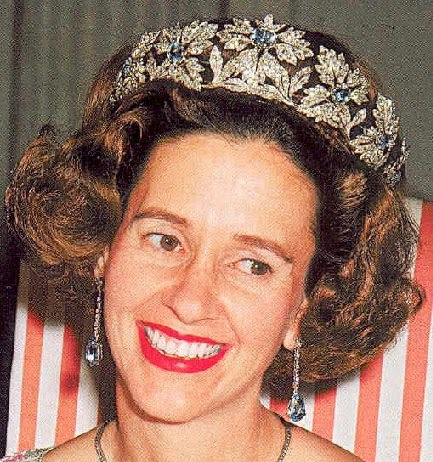 This tiara may not have been new on her marriage. 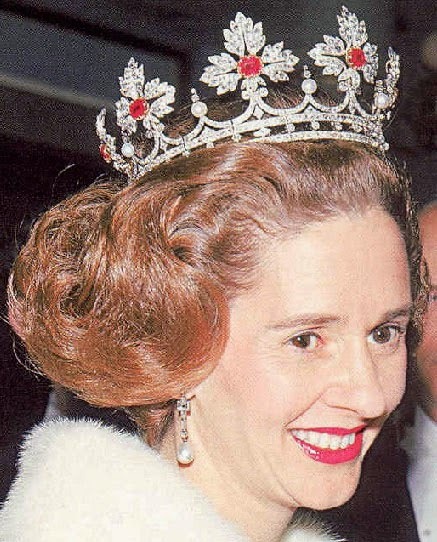 It seems to take the shape of a coronet as seen in spanish aristocratic heraldry of I think a duke. 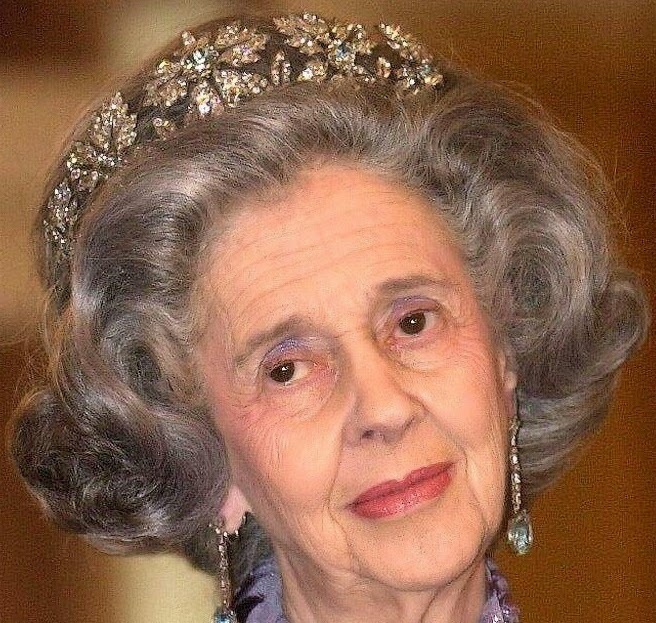 Therefore it would have been a popular choice for an aristocratic spanish family and less appropriate for a royal tiara (excpet her family were I think spanish marquesses). 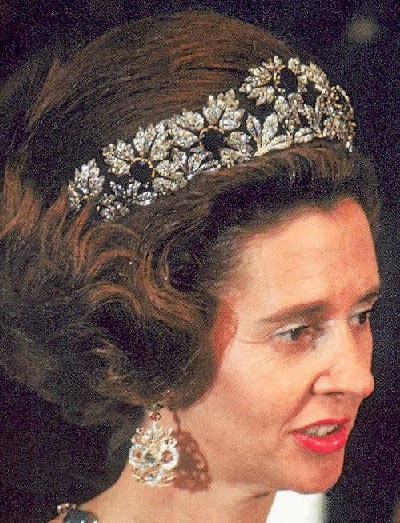 This tiara is absolutely beautiful. It fits her like a glove. 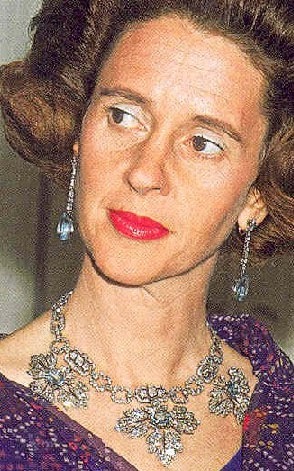 No one can doubt the unique versatility of this one. 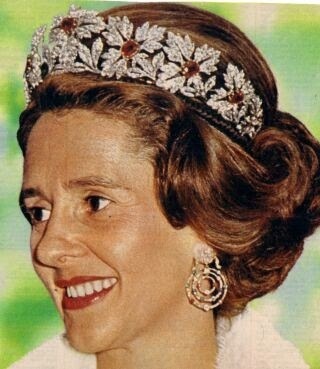 If I'll have a tiara and ill be a new Queen this is the one i will take.